Soon after he was inaugurated, President Trump asked FBI Director James Comey to pledge his loyalty to him, a request that Comey turned down, CBS News' Pat Milton confirmed Thursday, citing a law enforcement source who was told the story by Comey. Comey felt that conversation, which occurred in January, shortly after Mr. Trump was inaugurated, was the beginning of his downfall, according to the New York Times, which first reported the story. 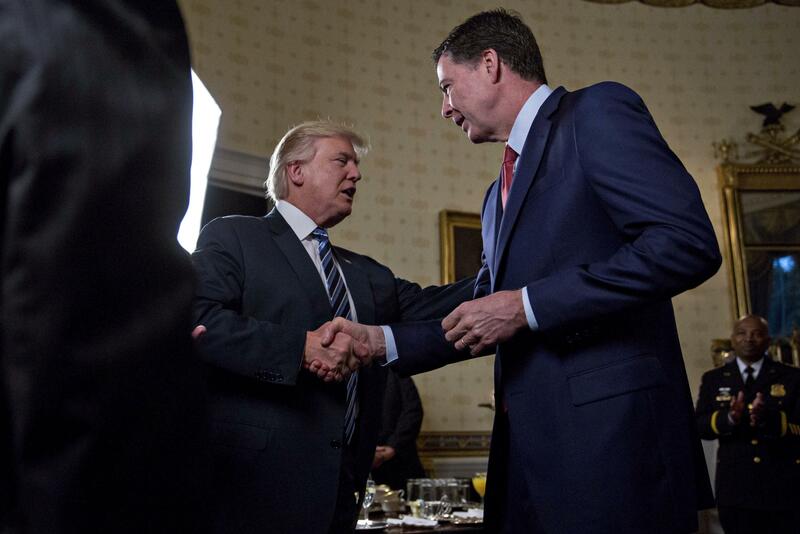 In January, Mr. Trump invited Comey to have dinner with him at the White House, and in the course of their conversation, the president asked Comey if he would pledge his loyalty to him. The FBI director declined, but he replied to the president that he would always be honest. Again during their dinner, Mr. Trump told Comey he needed his loyalty. And again, Comey responded that he would be honest, according to the source. Mr. Trump pressed Comey on whether it would be "honest loyalty." Comey said that he responded, "Yes, you will have that." He meant, said the source, that he would always be honest with the president. The Times reported that Comey was wary of accepting Mr. Trump's dinner invitation because he wished to avoid seeming too "chummy" with him, especially because of the ongoing Russia probe. He decided to go because he didn't think he could turn down the new president. In an interview with NBC News, President Trump mentioned the White House dinner with Comey, but he cited the dinner as one of three occasions when Comey had told him "you are not under investigation." Mr. Trump told NBC News' Lester Holt that Comey wanted to make a pitch to keep his job. "I think he asked for the dinner, and he wanted to stay on as the FBI head," the president told Holt. "And I said I'll, you know, consider and we'll see what happens." The White House has not commented on the story to CBS News, although Deputy Press Secretary Sarah Huckabee Sanders told the Times, "We don't believe this to be an accurate account," adding, "The integrity of our law enforcement agencies and their leadership is of the utmost importance to President Trump. He would never even suggest the expectation of personal loyalty, only loyalty to our country and its great people." Earlier Thursday, during the White House briefing Thursday, asked how important loyalty to the president is for the person serving as FBI director, Sanders said that "the main factor" is that "they're loyal to the justice system; they're loyal to the American people."